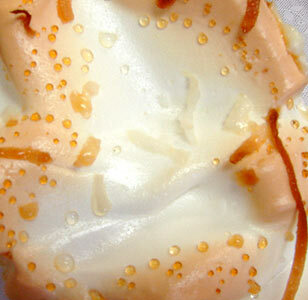 Today, March 14, mathematicians celebrate International Pi Day because it's 3/14...3.14...Pi. Many of them celebrate with pie. Smart people, mathematicians. Look! A bunch of circular pies inside a bigger circle. If that doesn't say "pi=pie", I don't know what does. This was at last year's Mennonite Relief Sale (MCC Sale) in Hutchinson, Kansas. But is that enough recognition to give pie? Nay! 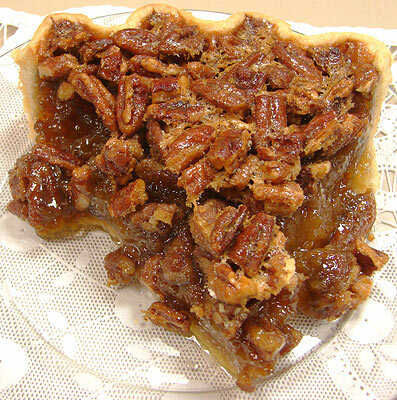 National Pie Day was in January, but I don't see reason we can't celebrate pie again, do you? 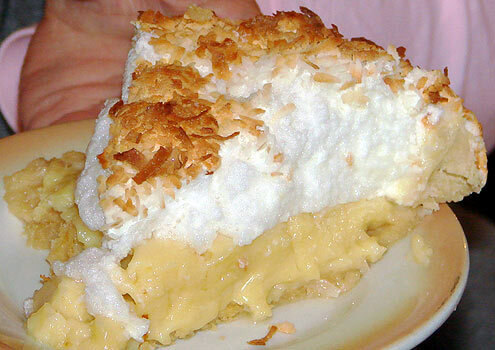 Indeed, there is no International Pie Day, as far as I can find, so let's decide it's today. 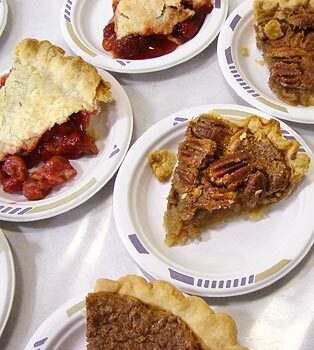 Best Mass Assemblage of Pie goes to the MCC sale. Like tasty soldiers, MCC pie awaits deployment. Best Pie of Historical Significance goes to Little Jack Horner. 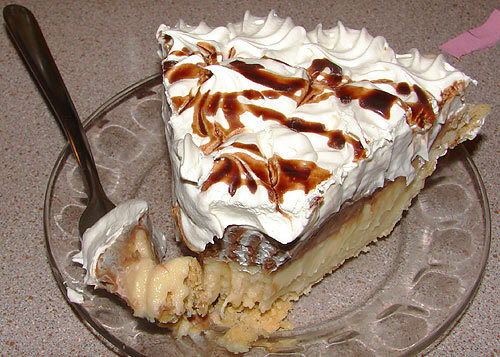 Best Pie on Missouri Route 66 goes to A Slice of Pie in Rolla. This pie was so beautiful I hesitated to eat it. But I got over that. 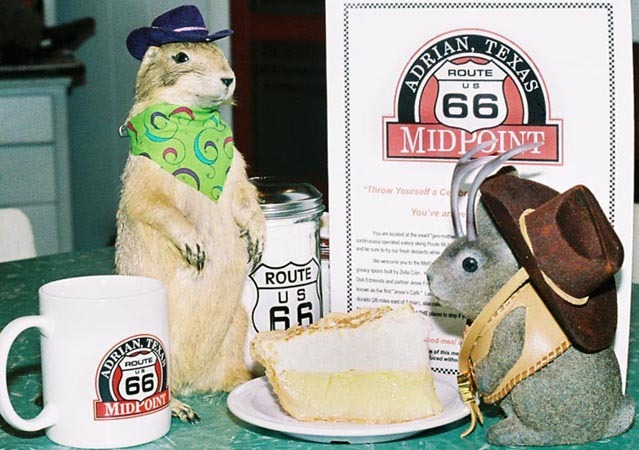 The winner is the Midpoint Cafe in Adrian, where Ace met with Midpoint Pete over some ugly crust pie in May and July of 2005. We passed through Adrian on Feb 29 of this year, and missed the seasonal opening of The Midpoint by one day. Ouch! 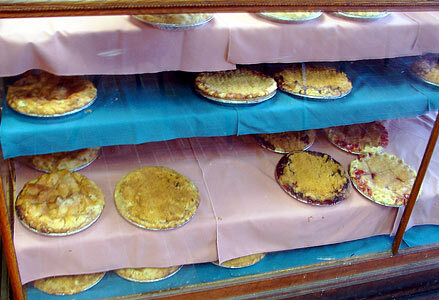 Best Pie in Rural Missouri is a tie. We discovered both during the Food Coma Caravan, an annual road trip/eating binge started by friends in Kansas City. 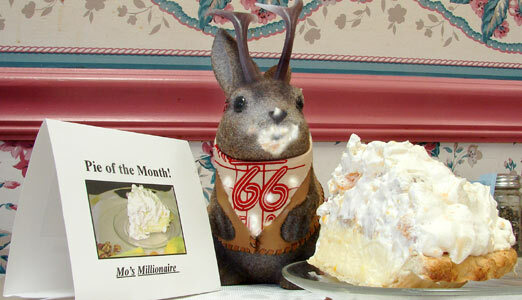 I know that Patsy Terrell is also planning to salute pie today. I can't wait to see if others jump in.